A TPP shooter game set in the alternative 1930s, developed by Rebellion. The game allows you to explore the mysterious nooks of the British Empire and discovers the secrets left by ancient civilizations. 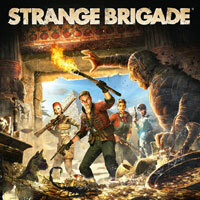 Strange Brigade for PC, PS4 and XONE is co-op-oriented TPP shooter game developed by Rebellion, known e.g. for Sniper Elite. Strange Brigade is set in the alternative 1930s. You explore the mysterious nooks of the British Empire, discovering secrets left by ancient civilizations. The task is, however, made more difficult by the fact that those places are guarded by fantastic beasts revived by Seteki, the Egyptian witch-queen. The game utilizes a third person's perspective. Together with up to three other players, you participate in bloody battles against mythological creatures. Those creatures include undead armed with various weapons, which can be defeated quite easily, and boss enemies such as mighty minotaurs, whose offensive and defensive statistics are on a much higher level. Fortunately, the player characters are not helpless. They all have their own unique equipment, firearms (such as pistols, shotguns, and assault rifles), and special abilities, including supernatural ones. Although Strange Brigade is co-op-oriented, you can also play on your own. In such cases, your team is controlled by the AI. Strange Brigade features decent 3D visuals. The game's style resembles adventure movies of the early 20th century.